Yesterday morning I returned from a decadent three-day weekend in Palm Beach with some girlfriends. Lots of sleep, sun, reading by the pool, and half-price martinis. 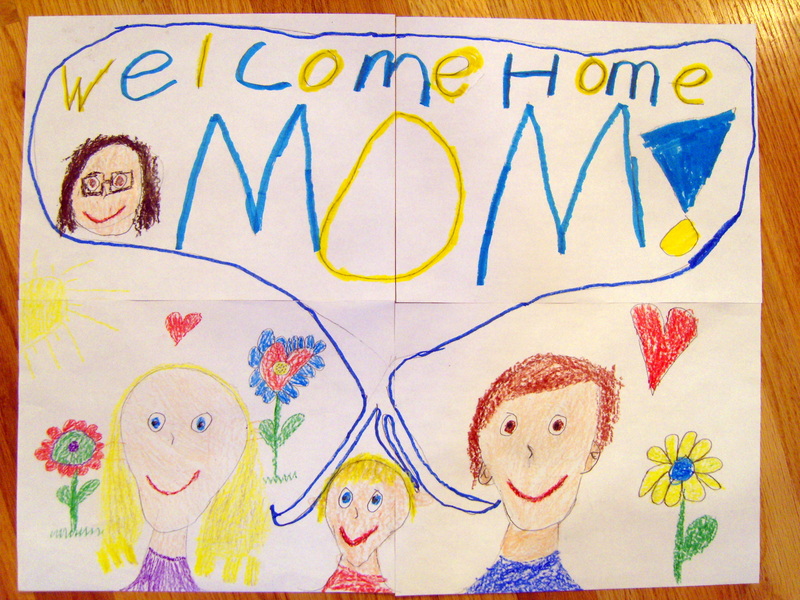 Reentry (via a 7 a.m. flight) was abrupt, though sweetened by the curbside airport pickup with hot coffee, homemade muffins and a dazzling welcome home sign. The kids are home today for Presidents’ Day and we have a playdate scheduled. Tonight I have the first of three chorus rehearsals for this weekend’s concerts, and of course there are still the usual after school activities. And I just noticed that, Hey! Ash Wednesday is this week, and it’s time to start observing some Lenten meat-free Fridays. So most of these meals are either make-ahead (early in the day) or fall into the 30-minute meal category. Just like every other week, right? Later today, if I’m feeling motivated, maybe I’ll see what kind of fried dough we can dabble in for Fat Tuesday. Anyone have a suggestion for something I can mix up tonight and fry in the morning? Just made Locro on Friday. We had sweet plantains, rice cakes, avocado, and thinly sliced stake marinated in lemon. this was one fest we worked on all weekend! baked potato bar- that’s a great one!